Shay Given “unhesitating in answering the manager’s call” to take up a temporary coaching post, Randy Lerner says. ASTON VILLA CHAIRMAN Randy Lerner has backed manager Paul Lambert after two members of his backroom staff were suspended. “Our manager has been faced with some unexpected issues that could have very easily set the club back,” Lerner told the club website. Villa announced on Tuesday that assistant manager Ian Culverhouse and head of football operations Gary Karsa had been suspended “pending an internal investigation”, without providing further details. Former players Gordon Cowans and Shay Given have been temporarily promoted to assist Lambert, and Lerner said that he had full faith in their abilities. “Gordon, a Villa man through and through, has repeatedly stepped up to support the club regardless of the ask. Shay, too, has been unhesitating in answering the manager’s call,” he added. British media reports suggest that both Culverhouse and Karsa were suspended over a disciplinary matter. Villa are currently in 14th place in the Premier League table, four points above the relegation places with five games to play. Email “Villa owner hails Lambert's 'loyalty and commitment' after backroom suspensions”. 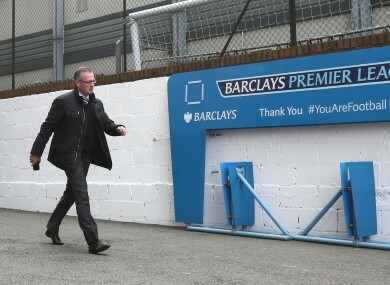 Feedback on “Villa owner hails Lambert's 'loyalty and commitment' after backroom suspensions”.